The stomach acid is also known as gastric acid. It is important for many digestive processes in the body. If the stomach does not or cannot produce enough acid, a lot of vital minerals and proteins will not be absorbed into the body. In a similar way, when the stomach acidity is too high, it becomes a problem for the body. That is why you also need to know the effective ways to reduce acidity in the stomach. High stomach acid is medically referred to as hyperchlorhydria. There is a valve at the entrance of the stomach. The valve is a ring of muscle called the lower oesophagal sphincter (LES). The lower oesophageal typically closes immediately food passes through it. If the LES doesn’t close completely or is open for a long time, the acid produced in the stomach can go up to your oesophagus. This can result in painful symptoms like burning chest pain (heartburn). 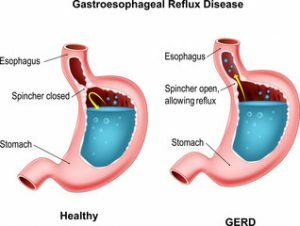 This occurrence is known as acid reflux disease, and if the symptoms persist for more than twice a week, you have acid reflux disease, or gastroesophageal reflux disease (GERD). It will gladden you to know that gastroesophageal reflux disease is totally preventable. 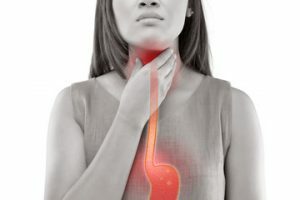 There are some helpful things you can do to prevent the reflux of stomach acid into the oesophagus, it can damage the oesophagal lining and can lead to many other serious illnesses, like throat cancer. If your stomach acidity is too high, you can also find out how you reduce the stomach acidity. Health is a prime factor that determines your well-being and mood. A healthy and happy mind is something that we all want to be blessed with. Common health issues like cold, cough, acidity etc. often brings discomfort to our normal day to day life. If you are someone trying hard to reduce the acidity of the stomach, this article will help you find out how to do just so. However, you will also find out the causes of high stomach acidity, the symptoms of high stomach acidity and above all natural ways to reduce acidity in the stomach. What are the causes of high stomach acidity? Consuming large meals and lying down immediately after eating. Eating certain foods that are highly acidic like oranges, lemon, tomato, mint, garlic, onions, and spicy foods. Alcoholic drinks and beverages, carbonated drinks, coffee, or tea. Taking drugs like aspirin and ibuprofen. An abnormality called a hiatal hernia. 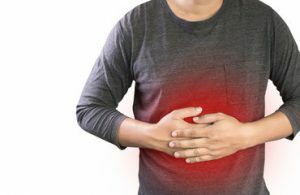 What are the symptoms of high stomach acidity? Bloody stools and vomiting blood. A sour or bitter taste of acid in your throat or mouth. A condition known as dysphagia, which is a narrowing of your oesophagus, which creates the sensation of food being stuck in your throat. A sore throat and coughing. If the symptoms occur twice or more in a week, you to see the doctor for diagnosis of acid reflux disease. Although there are quite a few over-the-counter and prescription drugs used for relieving stomach acidity, acid reflux disease can be treated by diet and lifestyle changes. Sometimes, they involve eating some foods that reduce acidity in the stomach. Buttermilk is high in lactic acid which normalizes acidity in the stomach. Drinking a few glasses of plain buttermilk can work much better than the antacids that we take. Buttermilk is widely available at the market and can also be prepared easily at home. Jaggery or Gur contains high magnesium and is good in preventing acidity of the stomach. Jaggery also helps in maintaining normal body temperature and keeping the stomach cool. Eating a piece of jaggery after a meal or drinking jaggery drink (jaggery soaked in cold water) is very useful in getting rid of acidity. Cloves work great in preventing the formation of gas and fighting acidity of the stomach. You can eat crushed cloves to get rid of bad breath or add it while cooking meals to improve the digestive system. The alkalizing effect of apple cider vinegar is very good in reducing the acidity of the stomach. Make it a habit of drinking a glass of warm water with a tablespoon of honey and apple cider vinegar each. Tender coconut is rich in fibre, and it improves our digestive system. Drinking tender coconut water during summer can also help in keeping you hydrated and active. Banana is a great food if you are looking for a solution of acidity. It is loaded with natural antacids and can prevent acidity to a great extent. There are so many other health benefits of drinking coconut water that you can find out. Add 4-5 almonds in your diet as it helps in preventing acidity. You can also carry a box of dry fruits and munch a few whenever you feel hungry but cannot manage time to grab a meal. A cup of cold milk can make a big difference in stabilizing acids in your stomach. Milk is rich in calcium that prevents the formation of acid in the stomach. You can always grab a glass of cold milk whenever you are running late to have a proper breakfast. Being obese is one of the major causes of high stomach acidity. If you’re looking for an effective way to reduce acidity in the stomach, you should try to lose weight fast. Another great way to reduce stomach acidity is to avoid foods the cause acid reflux. You should immediately stop eating these foods once you notice the symptoms of high stomach acidity. These foods include fatty foods, spicy foods, acidic foods, like tomatoes, oranges and lemons, mint, chocolate, onions, Coffee or any caffeinated beverage, carbonated beverages. Also, avoid alcohol. Numerous scientific studies have shown that nicotine, present in tobacco can relax the muscles of the lower oesophagal sphincter, thereby making them not to close. Smoking can also affect your saliva’s ability to clear acid out of the oesophagus. Other medications and prescription can be used in the treatment of acid reflux disease. Apart from all the above tips and ways to reduce acidity in the stomach, adopting a healthy lifestyle can also make a big difference. Sticking to a healthy diet, a few physical activities and being constant with your health care routine is all that you need to say bye to acidity.